Julie Bartel is teen librarian and system-wide selector of teen materials and graphic novels at the Salt Lake City Public Library. A zinester herself, Bartel is founder and coordinator of the City Library Zine Collection, the oldest and largest in a public library. 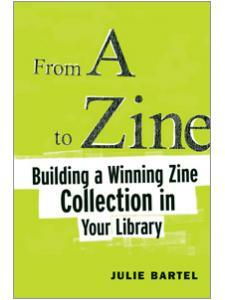 Her article, "The Salt Lake City Public Library Zine Collection," published in Public Libraries, was awarded the Beginning Professional Award for Teen Services by the Mountain Plains Library Association. She holds her MLS from Syracuse University.